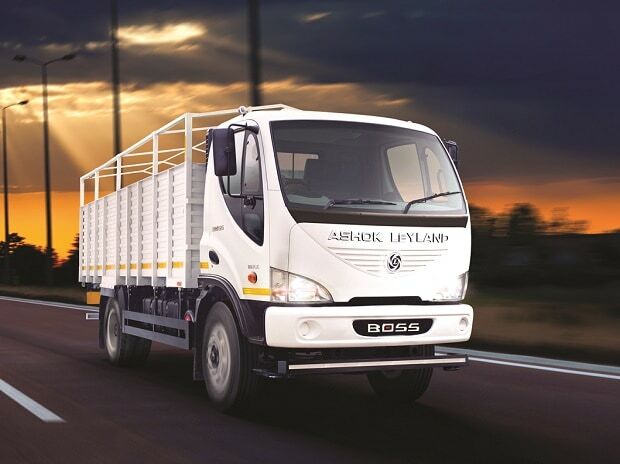 Ashok Leyland's LCV business, originally floated as a joint venture with Japanese automajor Nissan and later bought over by the Indian partner, has turned around during the financial year ended March 2018. Ashok Leyland Vehicles Limited, formerly known as Ashok Leyland Nissan Vehicles Ltd, has reported a profit of Rs 1.34 billion in FY18 as against a loss of Rs 24.9 million the previous financial year. In 2015-16, the loss in this business stood at Rs 618.7 million. Turnover rose to Rs 16.47 billion in 2017-18, from Rs 2.81 billion in 2016-17. The company is engaged in developing, manufacturing and selling Light Commercial Vehicle (LCVs) up to 7.5 tonne gross vehicle weight and LCV Powertrain and spares parts thereof in India and other countries. It has an annual manufacturing capacity of 48,500 vehicle units. Nitin Seth, President–LCV, Ashok Leyland said that the company's LCV business has been steaming ahead, witnessing a growth of 37 per cent along with 100 basis points of market share gained in FY18. FY18 also saw the rollout of the 200,000th LCV from the company's plant. "The turnaround of LCV business was driven by rationalisation of the business structure, seamless decision making and launch of new variants on the existing platform. LCV is a very important business for us and we will continue to invest further into it," Seth added. "We are preparing to introduce 5-6 new products and a new platform in the next 12 to 24 months in the LCV space, both, for domestic and international markets (Right-Hand Drive and Left-Hand Drive)," said Seth. Ashley Powertrain Limited, earlier know as Nissan Ashok Leyland Powertrain Limited, reported a profit of Rs 8.59 million as compared to Rs 0.15 million in 2016-17. Turnover rose to Rs 3.61 billion in 2017-18 from Rs 659.8 million in 2016-17. Ashok Leyland Ltd held 66.67 per cent in this company as on March 2018. Ashley Powertrain is engaged in the manufacture, design, development, improvement, modification and creation of technically advanced LCVs and LCV powertrain including the relevant parts and components thereof. It also makes specified engine and transmission drivelines necessary for developing, manufacturing and selling all kinds of LCVs and LCV Powertrain and spares parts in India and abroad. The annual manufacturing capacity is 48,500 engine units. The profit at Ashok Leyland Technologies Limited (earlier Nissan AshoK Leyland Technologies Private Limited) rose to Rs 209.6 million in 2017-18 from Rs 40.9 million in 2016-17. Turnover of the company rose to Rs 600.9 million from Rs 153.2 million. Ashok Leyland Technologies is engaged in the R&D, design, manufacture and supply of all types of automobile parts, and all kinds of LCVs and LCV Powertrain. The business extends to specified engines and transmission/ drivelines related to LCV and LCV Powertrains with a recognized research and development facility. The company has a prototype manufacturing capacity of 20 units a year.